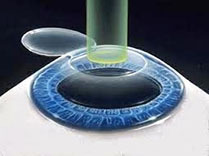 LASIK is the most commonly performed procedure for laser vision correction. It can correct visual errors in the vast majority of farsighted (hyperopic), nearsighted (myopic), and astigmatic patients. These conditions are known as refractive errors. 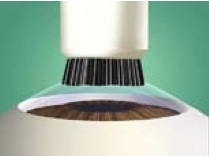 During laser eye surgery, a paper-thin flap in the cornea is created using the IntraLase femtosecond laser to give a custom-designed laser access to the corneal tissue underneath. The laser that is used to re-profile the cornea, to correct refractive errors, is the Star S4 laser. This is an excimer laser, which Dr. Mandel began researching at Columbia in 1984, more than a decade before it received approval from the FDA for use in human treatment. The replacement of the flap after the laser treatment allows for a fast recovery. In fact, the day after their laser eye surgery, most patients are able to return to work, exercise and return to most of their normal daily activities. It is not just the laser, but the longstanding technique that makes LASIK so popular.